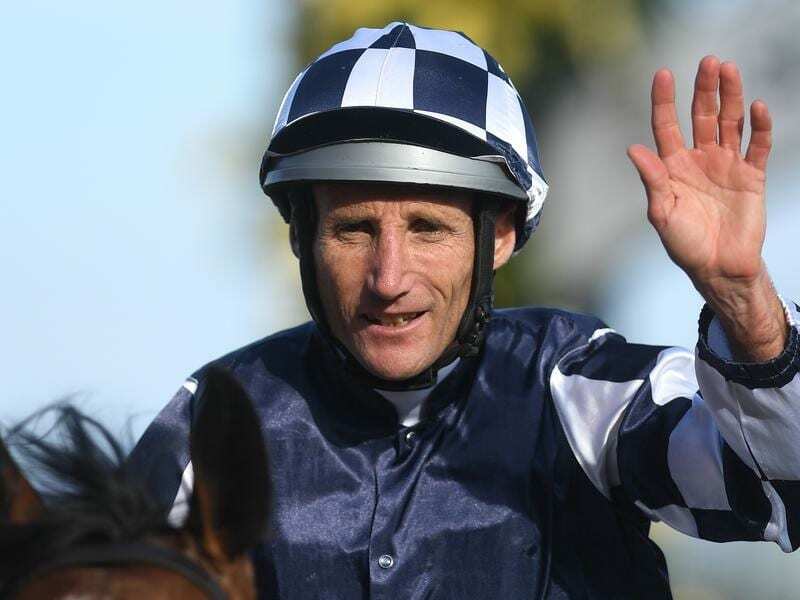 Jockey Damien Oliver has matched a long-standing Melbourne Cup carnival record at Flemington. Champion jockey Damien Oliver has equalled a long-standing record in the final race of this year’s Melbourne Cup carnival at Flemington. Oliver’s victory aboard the Danny O’Brien-trained Order Of Command in Saturday’s Grand Handicap was the jockey’s 72nd winner at a Melbourne Cup carnival during a career spanning three decades. Lewis’ record included four Melbourne Cup wins on The Victory (1902), Patrobas (1915), Artilleryman (1919) and Trivalve (1927). “It’s a bit overwhelming actually,” Oliver said. Oliver rode two winners during this year’s four-meeting Cup carnival – both for O’Brien – and while he was unable to notch a feature win in any of the Group One races he said he was happy with the way he had ridden. He also had five seconds and two third placings during the 37 races conducted over the four days but also copped a 10-meeting suspension for careless riding in Saturday’s Mackinnon Stakes on fourth placegetter Prized Icon. “I’ve had a lot of seconds but it’s nice to equal it (the record) on a horse of Danny O’Brien’s,” Oliver said. O’Brien praised the achievement of 46-year-old Oliver whose major wins during Cup carnivals are highlighted by his three Melbourne Cups on Doriemus (1995), Media Puzzle (2002) and Fiorente (2013). “Champions in any sport, the big judge of them is their longevity,” O’Brien said.